This is the house everyone is looking for. Recently extensively renovated to a high standard, it is virtually a new house in a superb location very close to town. 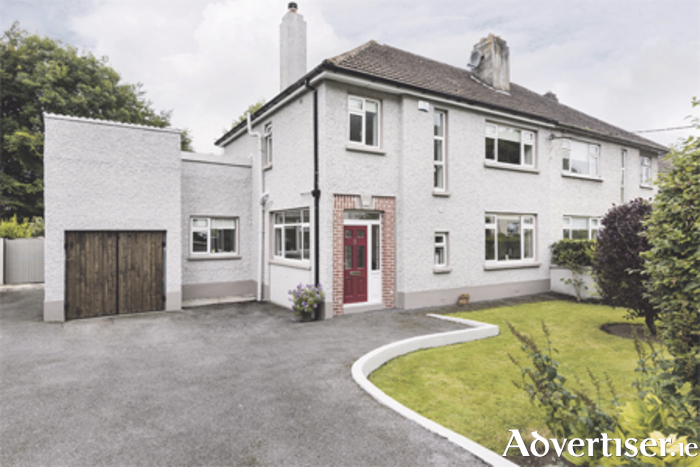 This delightful four-bedroom home sits in a mature residential location just five minutes walk from Athlone train and bus station, all local shops, schools, and the town centre. Many enhancing features make this a fine home for a discerning purchaser. Off-street car parking, a separate garage, a private rear patio and garden, and a secure rear boundary are just some. The interior boasts four bedrooms, three reception rooms, three bathrooms, central heating, a solid fuel stove, newly installed double glazed windows, and attractive decor. The property is approximately 128.8 sqm with a BER D1 energy rating. It must be viewed to be fully appreciated.